Revel in New Year’s Eve with a Midnight Kiss on the rooftop of the SIXTY Beverly Hills. Indulge in Five Hour Premium Open Bar and dance to top DJs spinning best of Hip-Hop and Top 40 at the critically-acclaimed cinematic rooftop bar and poolside lounge. Champagne toast to the New Year overlooking the lights of the massive city or looking over the hot bodies that frequent this Beverly Hills hotel rooftop. Above SIXTY (A60) is where California cool meets manicured elegance; the premier nightlife, exclusive LA rooftop destination for locals and tourists alike to celebrate NYE. Purchase early bird discount tickets available now online at www.above60nye2017.eventbrite.com and save money. Act fast. This event will sell out. Need help selecting the right party? Curious where to find this year’s Top LA Hotel New Years Events? For a spectacular NYE 2017, visit online at www.newyearsnightlife.net. Still have questions? 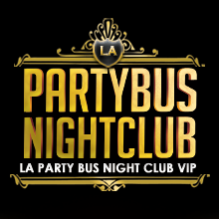 Simply fill out the below form or call/text our VIP Services team at +1 (310) 749-9029. Our customer experience team is here to help. Formerly the Thompson Beverly Hills, this chic rooftop bar is now the Above SIXTY at SIXTY Beverly Hills. SIXTY hotels has a collective of boutique hotels in New York, Los Angeles, and Miami. A serene outpost at the foot of the Hollywood hills, this modern Beverly Hills hotel blends upscale comfort with custom-made furniture and chic design elements. The cinematic rooftop pool, lounge and bar, Above SIXTY offers stunning panoramic views of the hills and canyons with downtown Los Angeles lights flickering in the background. There is a pool studded with Swarovski crystals, six private cabanas with plush seating, a fireplace and a cocktail bar that is the place to see and be seen.